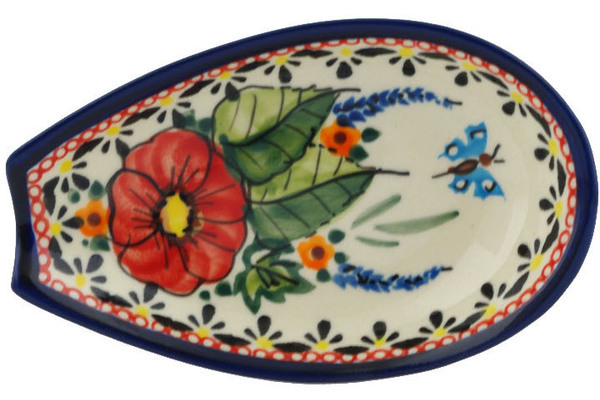 Dimensions: 5.1" x 3.1" x 1.1"
This Polish Pottery spoon rest (item number H8687B) is made by Zaklady Ceramiczne factory in Boleslawiec, Poland. It is 1.1" high and measures 3.1" by 5.1". The weight of this spoon rest is 0.2 lbs. The suggested retail price is $21.99 but you can save 20% by buying it today for $17.59. In addition if your total is over $99 you will get FREE SHIPPING. 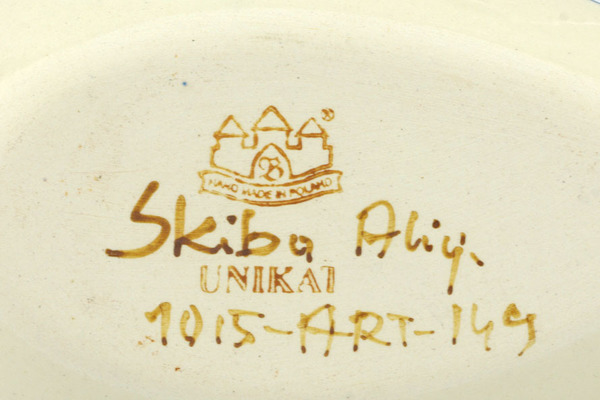 This is Polish Pottery Unikat (Signature) spoon rest, which means that it has been hand painted with both sponges and brushes and it is signed by the artist who painted it. Unikat pieces are the most involving works of art. Larger Unikat items take a few hours of very careful work to finish. 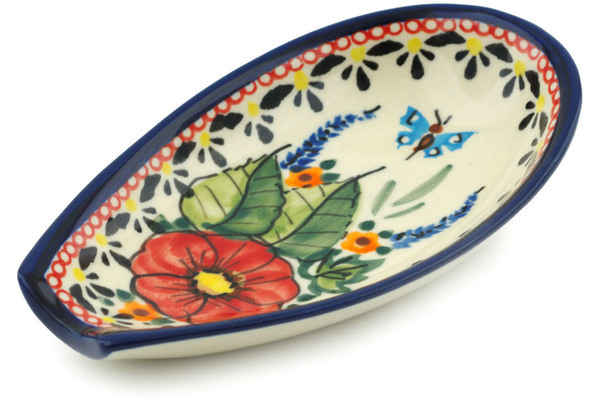 We currently have 12+ pcs of this Polish Pottery spoon rest available from our Texas warehouse. If you order it today, we will ship it within 2 business days. Please check our Delivery Time Map for ground shipments to get an idea about how many days it will take for the package to reach your address. If you need larger quantity than what we have in stock, we can special order the remaining quantity. If you like this style you might also want to check this spoon rest in other patterns. 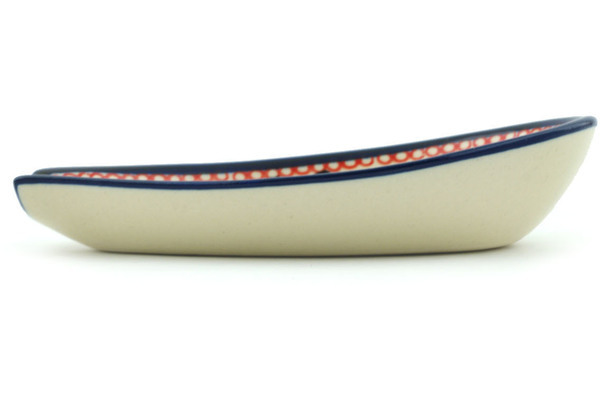 You can also check for other items in this pattern, or browse all Polish Pottery Spoon Rests. A: Please click save cart at the top of shopping cart: It says "Your cart may expire, please save your cart." : http://www.artisanimports.com/basket.php The website will ask you to type your email address. You may load saved cart using the same email address: http://www.artisanimports.com/basket.php Please click "load saved cart" in the center.